Legendary investors such as Leon Cooperman and Seth Klarman earn enormous amounts of money for themselves and their investors by doing in-depth research on small-cap stocks that big brokerage houses don’t publish. Small cap stocks -especially when they are screened well- can generate substantial outperformance versus a boring index fund. That’s why we analyze the activity of those successful funds in these small-cap stocks. In the following paragraphs, we analyze Selective Insurance Group (NASDAQ:SIGI) from the perspective of those successful funds. Selective Insurance Group (NASDAQ:SIGI) has seen a decrease in enthusiasm from smart money of late. At the end of September, 13 funds from our database held shares of the company, compared to 18 funds a quarter earlier. However, the level and the change in hedge fund popularity aren’t the only variables you need to analyze to decipher hedge funds’ perspectives. A stock may witness a boost in popularity but it may still be less popular than similarly priced stocks. That’s why at the end of this article we will examine companies such as Tootsie Roll Industries, Inc. (NYSE:TR), Knight Transportation (NYSE:KNX), and WP Glimcher Inc (NYSE:WPG) to gather more data points. Now, let’s take a peek at the fresh action surrounding Selective Insurance Group (NASDAQ:SIGI). 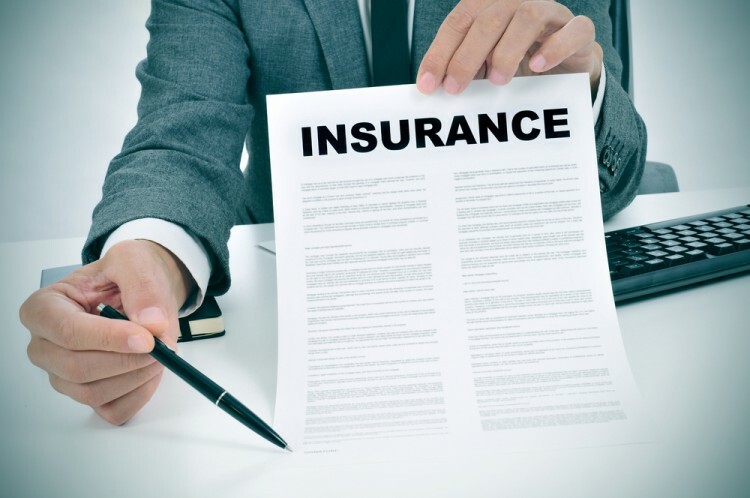 How have hedgies been trading Selective Insurance Group (NASDAQ:SIGI)? Heading into the fourth quarter of 2016, a total of 13 of the hedge funds tracked by Insider Monkey held long positions in this stock, down by 28% from one quarter earlier. 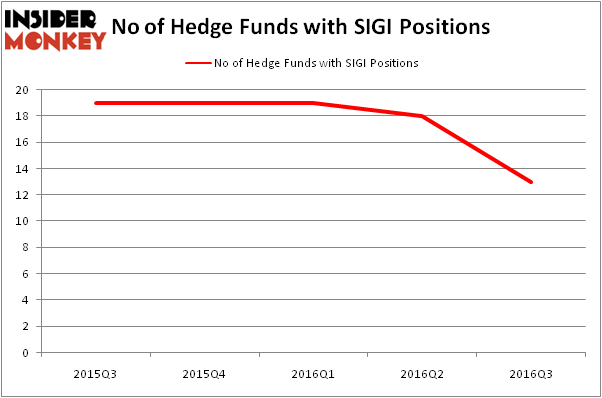 Below, you can check out the change in hedge fund sentiment towards SIGI over the last five quarters. With the smart money’s sentiment swirling, there exists a select group of notable hedge fund managers who were upping their holdings considerably (or already accumulated large positions). According to publicly available hedge fund and institutional investor holdings data compiled by Insider Monkey, Peter Rathjens, Bruce Clarke and John Campbell’s Arrowstreet Capital has the number one position in Selective Insurance Group (NASDAQ:SIGI), worth close to $7.7 million, corresponding to less than 0.1%% of its total 13F portfolio. The second largest stake is held by Citadel Investment Group, led by Ken Griffin, which holds a $6.7 million position; the fund has less than 0.1%% of its 13F portfolio invested in the stock. Some other professional money managers that hold long positions include John D. Gillespie’s Prospector Partners, Cliff Asness’ AQR Capital Management, and Robert B. Gillam’s McKinley Capital Management. We should note that none of these hedge funds are among our list of the 100 best performing hedge funds which is based on the performance of their 13F long positions in non-microcap stocks. Vince Holding Corp (VNCE): Hedge Funds Keep Heading Elsewhere Helen of Troy Limited (HELE): 73% Surge in Smart Money Ownership; What’... Should You Get Out of UniFirst Corp (UNF) Now? Hedge Funds Are. Is It Time to Buy Ultra Clean Holdings Inc (UCTT)? Smart Money Thinks So. Is Cabot Corp (CBT) A Good Stock to Buy? Is Vitamin Shoppe Inc (VSI) Going to Burn These Hedge Funds?